I've only seen the Harlaco marking on gigantic lamp-planter combos like the one shown below. 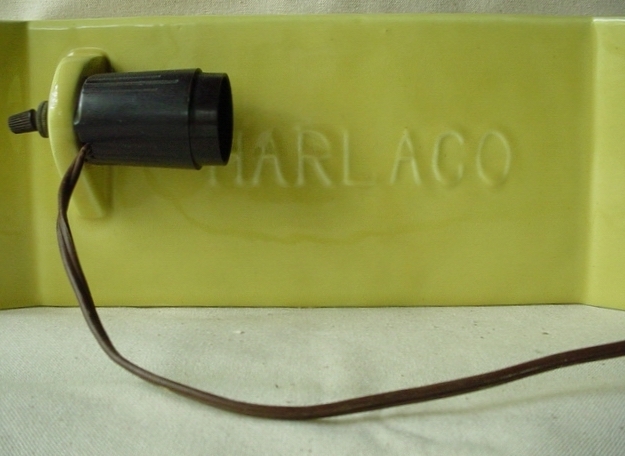 While I've seen no other products that bear the Harlaco name, I have discovered that Texans Incorporated made an almost identical planter/lamp. Does this point to a Texas connection? Is the name an abbreviation of some sort? At 18" long, this lamp/planter is huge! 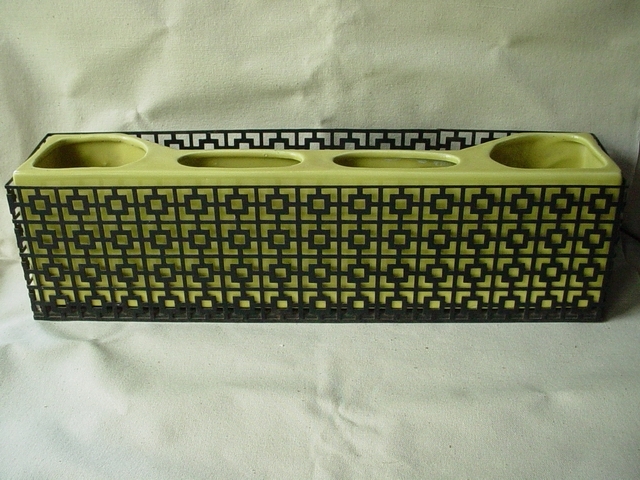 Yellow glaze is quite distinctive. It appears chartreuse in the photos, but it's actually closer to a lemon yellow. I've also seen this design in pink and in green. It's the only lamp I've seen that's marked HARLACO. Anyone seen any other Harlaco products?